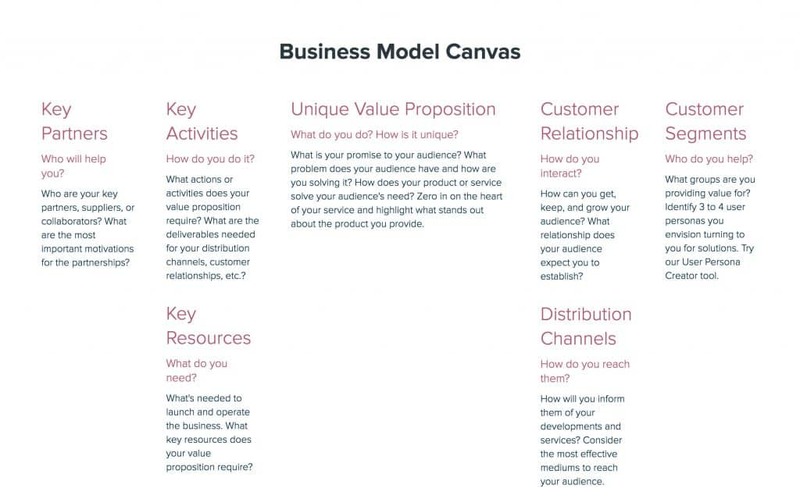 What is a Business Model Canvas and why should you use it? The Business Model Canvas was initially proposed by Alexander Osterwalder based on his earlier work on Business Model Ontology. Since the release of Osterwalder’s work in 2008, new canvases for specific niches have appeared. We were foraging the interwebs and came across a super sharp site called strategyzer.com. They’re loaded for bear with business planning templates. We found this great explanation of the Business Model Canvas. Enjoy and let us know what you think in the comments. Strategyzer also offers a downloadable template for you to fill out. Mouse over and grab yours here. Xtensio is another group of awesome folks who are offering all sorts of editable templates for the small biz solopreneur. They’ve become my favorite go-to for business planning templates. Check them out and get a free month of their Plus service. Full disclosure, I’ll get a free month too – affiliate link.